laine laine offers unique products that are locally designed and manufactured. Our range includes beautiful gender-neutral Baby On Board Signs and Stickers, Gender Reveal Belly Stickers and Sprinkled With Love Pee Covers. Each of these products makes the perfect gift or a spoil for yourself. A selection of high quality kitchen appliances and accessories designed to delight any domestic goddess. A unique and one-of-a-kind travel system: when folded, this record breaker is the smallest and most compact buggy currently available on the market. Engineered with a simple two-step fold, the Pockit is practical, convenient and built to last. Diversicor is dedicated to bringing the most useful, innovative and desirable products that emerge from countries around the world to the South African market. Our focus is on quality, innovation and novelty. Scientific evaluation is a Himalaya hallmark. Since 1930, combining the best of herbal ingredients with years of scientific research, Himalaya has introduced outstanding health care, personal care and baby care products. It is our stringent quality standards that have led over 200,000 doctors worldwide to endorse our products. NoseFrida and Windi® are Swedish products that solve two common problems most parents have with their babies: blocked noses and gassy tummies! They are safe, effective and hygienic, recommended from birth, and endorsed by parents and medical professionals worldwide. Say goodbye to blocked noses and gassy tummies! Home-made with love ‒ we bring to you the finest baby nursery bedding, like cot bumpers, crib sheets, baby blankets and carry cots, all custom-made using only the highest quality materials. Unique baby clothing, hand-made with 100% cotton. Breastpumps & Beyond has one key end goal; a mother and child’s ultimate satisfaction. 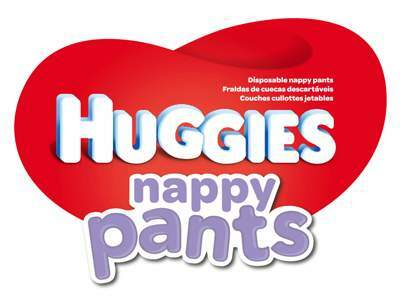 We supply top end products to help moms through pregnancy, as well as post birth. Our range of breast pumps is provided by industry thought leaders; Medela. We are proud to be the sole distributors of this brand within South Africa. 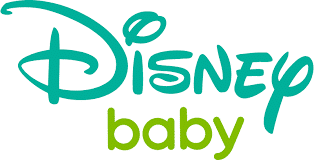 Disney Baby is an Iconic and best recognised brand in the infant industry, bringing you products that add a dash of Magic to your time with Baby, and make life easier. We’re here to help baby grow up with the Magic of Disney. Creating magical moments right from the start. Ietsie Bietsie provides beautiful and unique handmade cloth dolls for little girls to dream, play and share precious memories. All dolls and scatters will be the perfect décor item in your babies room. Ietsie Bietsie takes pride in our range of kids tents and accessories for mom and baby. Baby College® provides weekly classes for parents and babies from birth to 3 years, offering a complete development workout that includes carefully designed physical, multi-sensory activities. Our parenting centre also offers Diet/Lactation Consultation, Infant Massage, CPR Courses, plusoptiX Eye Screening, Fitness Classes, Nanny Training, Support Groups and Eco-Mom products. FABBUILD is an educational life-size building kit that stimulates creative and practical skills in kids of all ages. Structures can be decorated using different fabrics and blankets for hours of fun. FABBUILD is great to use at home, playschools, primary schools and an excellent occupational therapeutic tool in paediatric practices. With dozens of styles and colours to choose from, Bubblegummers has something for even the most discriminating youngster. Our colourful shoes have a distinctive chewing gum aroma, which is unique and distinguishes us from other brands. These fun shoes offer the latest fashions while providing great support for little feet.